CJSF 90.1 FM is Simon Fraser University's arts, public affairs and indie music radio station! CJSF strives to provide points of view that are rarely expressed in mainstream media. We take pride in being an alternative to mainstream media, offering the public a forum for expressing perspectives that otherwise may not be heard. CJSF 90.1 FM broadcasts from the Burnaby Mountain campus of Simon Fraser University to most of Greater Vancouver, from Langley to Point Grey and from the North Shore to the US Border. 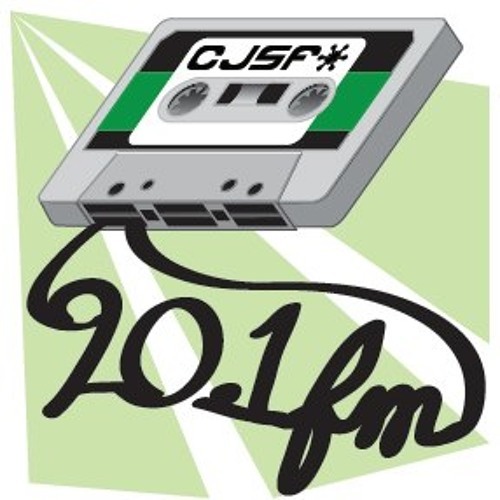 As a non-commercial station, CJSF takes pride in being an alternative to mainstream media and offers the public a forum for artists and social issues that otherwise may not receive media attention. This includes music by independent artists from a diverse range of genres and public affairs programming that addresses issues faced by marginalized or disadvantages communities. CJSF and all campus/community radio enables the public to create the media they want to hear. They have over 150 volunteers from the SFU and Metro Vancouver community and are always looking for new recruits to come in and make radio.